#1 ECPA Bestseller, #1 Publisher’s Weekly Inspirational Fiction Bestseller, and CBA Bestseller! 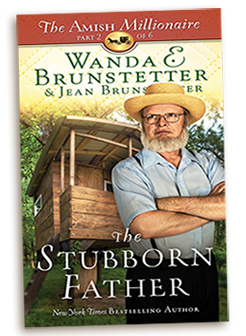 In Part 2, The Stubborn Father, feel the pain of widower Eustace Byler who stands out in his Amish community for his eccentricity and his wealth and mourns both his deceased wife and living son. Can father and son come to an understanding about their different choices in life before time runs out? 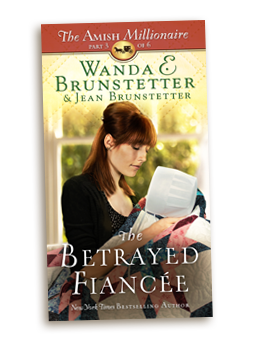 In Part 3, The Betrayed Fiancee, experience the hurt, along with Kristi Palmer, when she learns the man she planned to marry has squandered their joint savings on his selfish desires. Can trust broken ever be mended? In Part 4, The Missing Will, Joel Byler has gotten himself into a financial bind. 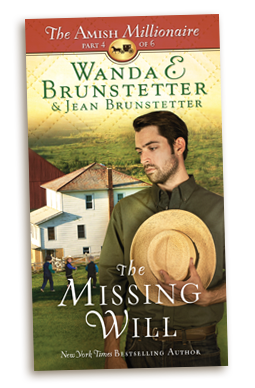 When will Joel learn he most pay for his own mistakes—and at what cost to his business, his fiancée, and his Amish siblings? 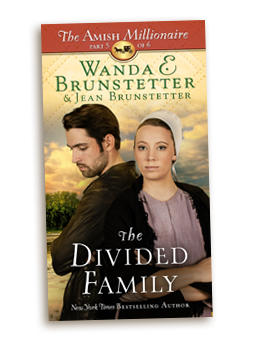 In Part 5, The Divided Family, the grieving Byler family is struck by one disaster after another. Can Joel finally step up to be the man of the family who brings them back in harmony? 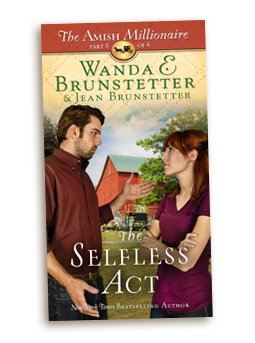 In Book 6, The Selfless Act, Joel Byler is faced with a life-changing decision. Will it be good enough or soon enough to meet his father’s wishes set forth in the will? All Six Books Now in One! 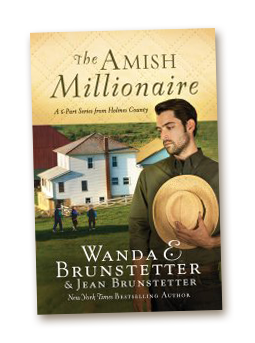 Return to Holmes County, Ohio, along with a prodigal son in the complete Amish Millionaire serial drama from New York Times bestselling author Wanda E. Brunstetter and her daughter-in-law, Jean. Asking his wealthy and eccentric Amish father for money—again—will strain the already weak bond between Joel Byler, his father, and his sisters. 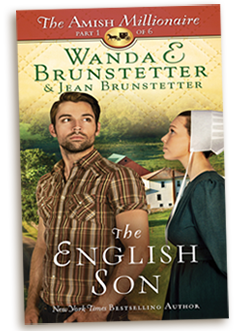 Will the worldly young man ever learn he must pay for his own mistakes—and at what cost to his business, his fiancée, and his Amish family?